Think about a theme park. What do you see? What do you hear? Odds are, you’ll probably hear the roar of the roller-coasters zipping by or you may see the thousands of people that surround you as you walk to your next ride. To most, these sights and sounds would seem normal. We expect to hear loud noises and be stuck in crowds for most of the day and we think nothing of it. However, to some, this can be daunting and overwhelming, making for a less than perfect vacation. 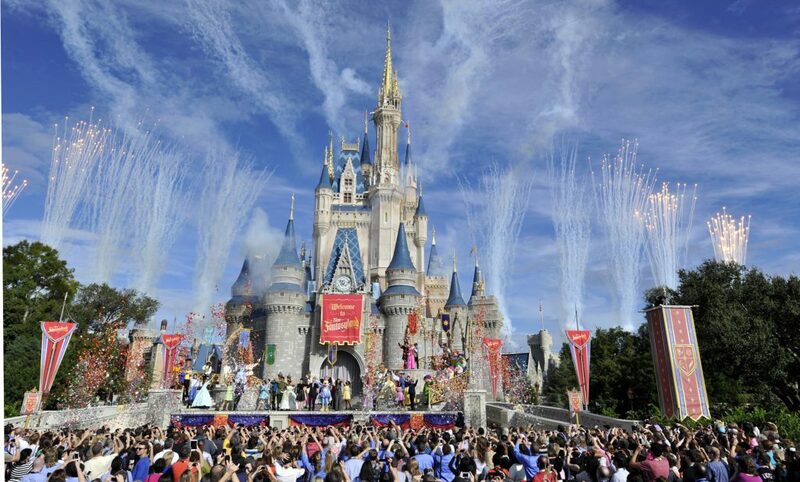 Disney Parks does whatever it can in order to accommodate those who live with disabilities. We’re sure many of you have seen the ride vehicles that are equipped for wheelchairs. Disney Parks offers another service for those with a disability that may not be visible — such as autism or another sensory disorder, for example. The Disability Access Service Card, or DAS, allows guests at Walt Disney World and Disneyland to visit an attraction and receive a return time based on the current wait time posted. You may be wondering, “Well, how is that different than a FastPass?” We’re going to tell you everything you need to know. The card isn’t new, but we thought we’d help spread the word for people who might benefit from this information. How do I get a DAS Card? Guests can visit the Guest Relations booth at any of the theme parks at Disneyland or Walt Disney World. Once there, ask a cast member, or CM, for assistance with a DAS Card. After completing the registration process, the CM will take a photo of the guest receiving the pass. The card will then be linked to his or her MagicBand for the remainder of the vacation. Where do I get my return time? At the Disneyland Resort in California, guests can go to Guest Relations kiosks located throughout the parks to receive a return time. At the Walt Disney World Resort in Florida, guests can go to the front of the attraction in order to receive their return time. Who can get the return time? The DAS Cardholder does not need to be there to receive the return time. Instead another member of the party may obtain the return time from the CM. The Cardholder must be present, however, when the group boards the attraction. The DAS Card is meant to accommodate those who aren’t able to wait in the queue environment due to a disability. This includes non-apparent disabilities, such as autism or other sensory disorders. If you are unsure if you will qualify, visit any Guest Relations booth at the entrance to each park to discuss your needs. Guests with a DAS Card are able to obtain a return time based on the wait time for the attraction. While waiting, guests can enjoy the rest of the theme park and then return to the ride and proceed to the CM at the front of the ride. After completing the attraction, the guest is able to receive a return time for another ride. The DAS service can also be used in addition to Disney’s FastPass and FastPass+ services. How long are the passes good? DAS Cards are good for up to 60 days, based on ticket entitlement. Once the ticket has expired, it is no longer valid and you will need to go back to Guest Relations and re-register. Park hopping? Cards issued at Walt Disney World Resort are good at Magic Kingdom, Disney’s Animal Kingdom, Epcot and Disney’s Hollywood Studios. “Disney Parks offer a variety of services to guests with disabilities, such as Disney’s Handheld Device that offers assistive listening, captioning and audio description. Additionally, Disney Parks has developed a “Guide for Guests with Cognitive Disabilities.” This serves as a tool on how best to experience its theme parks and is expected to be available online by mid-October. Disney Parks are committed to creating a magical vacation for everyone, and this is another step in creating a safe enjoyable environment for everyone. If you have any questions regarding the Disability Access Service Card you can contact Disney’s Disability Services by email or by calling 407-560-2547.